Appleton Estate Jamaica Rum, a range of premium rums crafted in the heart of Jamaica is, now available in South Africa. Launched on Monday, 24 November, the range includes Appleton Estate V/X Jamaica Rum, Appleton Estate Extra 12 Year Old Jamaica Rum and Appleton Estate 21 Year Old Jamaica Rum. 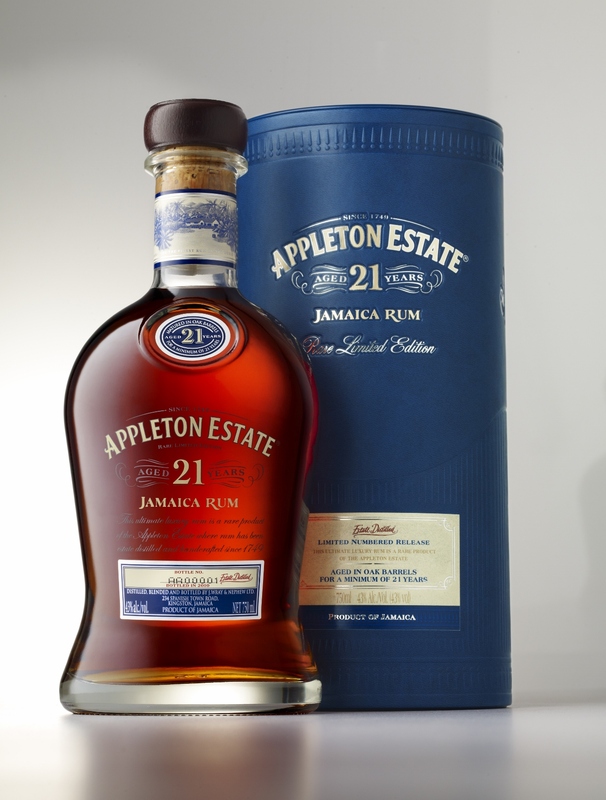 A rare blend of the finest aged rums, Appleton Estate 21 Year Old Jamaica Rum is a smooth sipping luxury rum that will please the palate of even the most discerning liquor connoisseur. The rums that make up Appleton Estate 21 Year Old were carefully selected for the unique character, flavour and bouquet that they bring to this exquisite rum and each has been aged for a minimum of 21 years in oak barrels. Bouquet: Powerful, yet delicate citrus, spice, nutty and woody notes that are derived from the sugar cane as well as developed naturally during the fermentation, distillation and ageing processes. Mellow orange peel, deep vanilla, rich nutmeg, almond, warm coffee and cocoa notes. Finish: The finish is long, brown, sugar-like and dry. Overall: Delicious … unique and completely different. Mature. 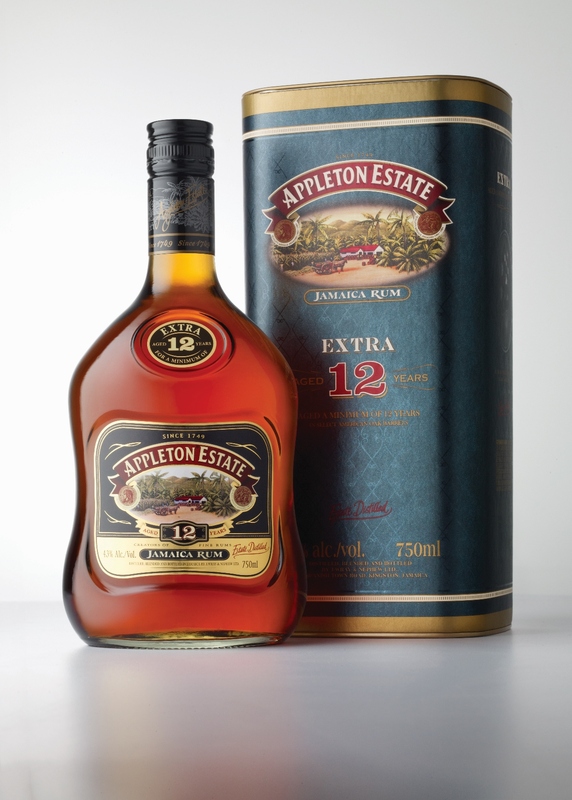 Appleton Estate Extra 12 Year Old Jamaica Rum is a sensual delight that is to be savoured as sipping rum, or with a splash or water or club soda. The rums that make up Appleton Estate Extra have been aged for a minimum of 12 years. The long years of tropical ageing give Appleton Estate Extra 12 Year Old its mahogany hue, bold character and smooth taste which invite favourable comparison to the world’s finest cognacs and scotches. Produced on Appleton Estate, home of the finest rums in the world since 1749, Appleton Estate Extra Jamaica Rum is the ultimate expression of the rum-maker’s art. Appearance: The rich, bronze colour is dazzling and bright. Bouquet: Complex, woody, fruity and nutty notes that are derived from the sugar cane as well as developed naturally during the fermentation, distillation and ageing processes: delicate molasses, vibrant orange peel, rich vanilla, subtle coffee, cocoa notes, and toasted oak with a hint of almond. Overall: A classic example of how far a skilled master blender of rum can take the marriage of sugarcane-based spirit and oak barrels. An oak-aged rum masterpiece. Bravo. 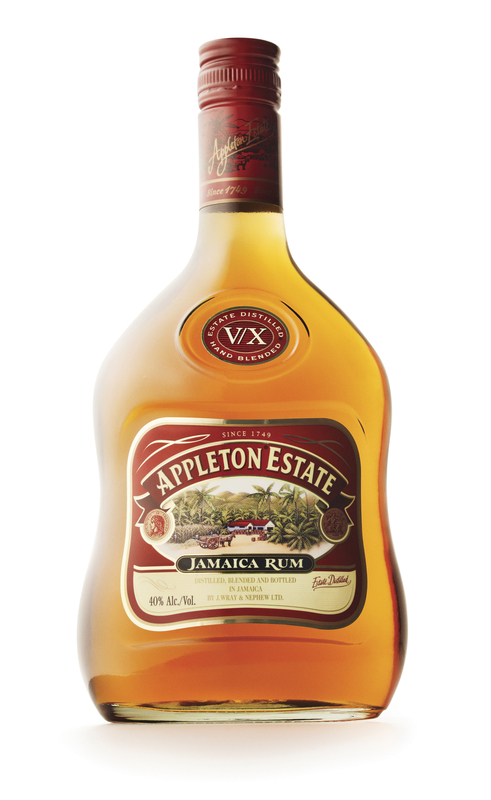 Appleton Estate V/X Jamaica Rum is the flagship brand of the Appleton Estate Jamaica Rum family. This full-bodied, medium sweet rum is a perfect example of the famous estate rums for which Appleton is renowned throughout the world. An exceptional blend of 15 select aged rums, Appleton Estate V/X Jamaica Rum boasts a warm golden colour, a rich aroma, and an exceptional taste. Smooth, mellow and ideally balanced, Appleton Estate V/X Jamaica Rum is the perfect accompaniment for classic rum cocktails or for serving with a splash of whatever! Appearance: Very pretty harvest golden honey colour and remarkable clarity and brilliance. Bouquet: Perfectly balanced complex citrus, fruity and sweet notes that are derived from the sugar cane as well as developed naturally during the fermentation, distillation and ageing processes: subtle orange peel, dried apricot, fresh peach with a hint of molasses. Finish: Finishes as serenely as it started in the mouth. Overall: A genuine connoisseur’s rum that earns and deserves every rating star. Reliable. Luscious. 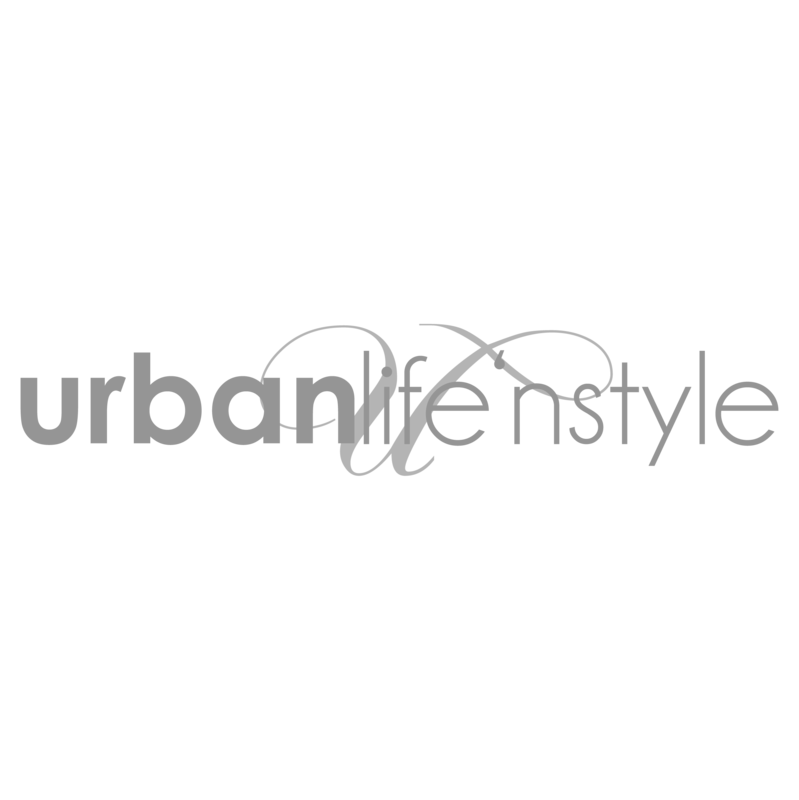 Ideally balanced. Previous Previous post: The Plettenberg, overlooking miles of sandy beaches, the Outeniqua Mountains and Formosa Bay.